"The field school was far and away the best part of my collegiate education to date," wrote first-year Ohio State University folklore graduate student Susan Hanson. "And I anticipate that everything to come will be more manageable as a result of my having had the opportunity to participate in the program," she added. Chris Grasso, a staff historian at the Western Reserve Historical Society, in Cleveland, wrote: "We received an apprenticeship along with our ethnographer's toolkit from the field school at Kenyon. In the field, we quickly put the tools you provided us to work. Our accelerated experience will make the project planning and implementation I do in the future seem like second nature." Hanson and Grasso were part of a group of fifteen people with a strong interest in cultural documentation, but with little or no previous experience in this area, who participated in an intensive, three-week-long field school the Folklife Center sponsored last summer in partnership with Kenyon College's Rural Life Center. It was held at the college's Gambier, Ohio, campus, June 13 through July 3, and was funded, in part, by a grant from the Ohio Humanities Council. It was jointly directed by Folklife Center folklife specialist David A. Taylor and Rural Life Center director Howard L. Sacks, a professor of sociology at Kenyon. 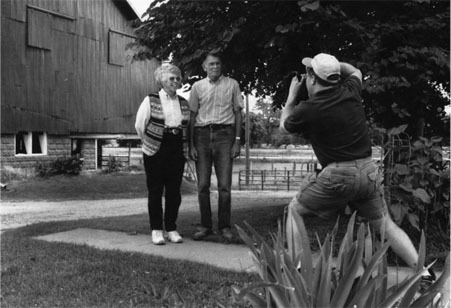 Developed in response to a continuing, nationwide demand for practical training in cultural documentation training that is in short supply both at the local level and in the academy--the Ohio field school was the third sponsored by the Folklife Center. Two previous field schools were developed, in 1994 and 1995, in partnership with Colorado College and the University of New Mexico's Center for Regional Studies. The fieldwork portions of those courses focused on life in a farming and ranching community in southern Colorado and farmers' markets based in Colorado Springs, respectively. The participants in last summer's field school were selected from a pool of applicants who responded to publicity about the course. An important criteria used in their selection was their potential for applying the training to their future work. The fifteen participants were: Eleanor Dahlin, a contract archaeologist from Houston; Grasso; Hanson; Paul Kulp a public school teacher from Marietta, Ohio; Norma Jean Loughrey, a local historian from Brinkhaven, Ohio; Lori Liggett, a graduate student in American studies at Bowling Green State University; Selina Lim, a graduate student in political science at Ohio State University; Luis Alejandro Madrigal-Mercado, a graduate student in rural sociology at Ohio State University; Elisabeth Nixon, a graduate student in folklore at Ohio State University; Gloria Parsisson, a local historian from Centerburg, Ohio; Andrew Richmon, a librarian from Gambier, Ohio; Linda Stoltzfus, a graduate student in history at the University of Akron; Mark Tebeau, a historian at the Western Reserve Historical Society; Robert Thometz, a grant writer from Columbus, Ohio; and Brenda Young, a graduate student in American studies at Bowling Green State University. Sacks and Taylor were the principal instructors at the field school. They were assisted by: Stephanie Hall, folkorist and automation specialist at the Folklife Center; Ray Heithaus, director of the Kenyon Center for Environmental Study, and professor of biology at the college; Mary Hufford, folklife specialist at the Folklife Center; and Gregory Spaid, photographer and professor of art at the college. Several residents of Knox County (where the college is located) also came into the field school's classroom and provided information about various aspects of local history, culture, and the natural environment. As with the Folklife Center's previous field schools, a specific theme was selected for exploration, and this year's theme was "Life Along the Kokosing." Newly designated as an Ohio scenic river, the Kokosing is the main waterway running through Knox County, a rural district characterized by a large number of small, family-run farms. The main goal of the fieldwork was to study the ways the river affects, and is in turn affected by, Knox County's residents and visitors. It was the task of the participants to determine what exactly to study and how to go about the work. In part, the theme "Life Along the Kokosing" was also selected because the research done by the field school's participants could serve as the foundation for future research that Sacks expected would be undertaken in the coming academic year by students in his fieldwork class. (Sacks and his students have conducted fieldwork with Knox County farm families and other local residents for many years and used the research as the basis for a number of impressive public programs.) The northwest corner of the county, comprising the small farming villages of Waterford and Batemantown, was selected as the main geographic focus of the research. The field school was divided into two main parts of equal duration: (1) classroom instruction and orientation field trips, and (2) fieldwork and analysis and presentation of research findings. 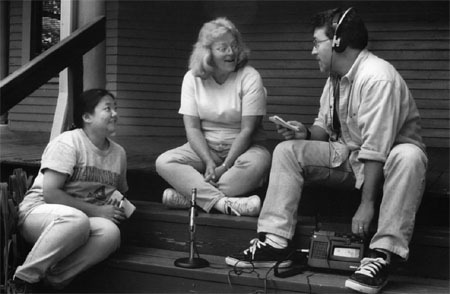 During the first half of the course, participants received full days of classroom instruction on a variety of subjects, including an overview of Knox County (surveying its history, culture, economy, and natural environment), project planning, and research ethics, as well as techniques for documentary photography, ethnographic observation and writing, interviewing, sound recording, and organizing field data. During this part of the course, participants also left the classroom and went, en masse, on short field trips designed to better acquaint them with the character of Knox County. For example, led by biologist Heithaus, they took a canoe trip down the Kokosing River for a distance of ten miles or so. Along the way, they observed some of the ways local residents orient themselves to and make use of the river. They also inspected the river's inhabitants by dip- netting small fish and other creatures that Heithaus identified and described as indicators of the river's health. The canoe trip had other functions as well. Taking place only a few days into the course, it provided a good opportunity for participants to work together as members of teams (to propel their canoes downstream), and the shared experience--enlivened by a number of spills along the way helped the group bond together. As Sacks and Taylor emphasized throughout the course, teamwork a new research experience for most course participants is the key to successful ethnographic fieldwork involving more than one researcher. Another memorable experience was a group trip to an indoor livestock auction in nearby Mt. Vernon, the county seat of Knox County. This trip followed classroom lectures and discussions about ethnographic observation and writing. The purpose of the exercise was to apply lessons learned in the classroom in a field situation. The auction and various activities that surrounded it provided a research opportunity simultaneously rich in activity, sound, and aroma! Back in the classroom the next day, a lively discussion ensued about such things as asking effective questions, using strategies for observing complex events, taking insider and outsider perceptions into account, and being aware of ethical considerations when doing fieldwork. One more field trip followed instruction in interviewing and photography and was intended to give participants an opportunity to test these documentary techniques while learning more about life in Knox County. Participants were divided into two groups and each one went to visit a different farm and meet members of the family that runs it. Both were "century farms" (farms in continuous operation for one hundred years or more). One was a cattle operation (the Cassell Farm), and the other was a sheep operation (the Shinaberry Farm). The course was also designed to address another need participants had expressed the need for guidance in organizing and preserving tape recordings, photographs, fieldnotes, emphera, and other materials generated during field research. Folklife Center archivist Stephanie Hall provided instruction that ranged from numbering systems of archival containers to the use of computer programs. One point she stressed was the need to plan for the organization and preservation of documentary materials at the start rather than at the end of a field project, when a pile of material has been collected. Hall, Sacks, and Taylor all emphasized the importance of attending to archival chores, fieldnote writing, and related tasks on a daily basis. After seven days of classroom lectures, field trips, and practice with documentation equipment, the course then moved on to address planning for the fieldwork that would take place during the second half. Sacks and Taylor explained that the fifteen participants would be divided into teams of three. Each team would be responsible for developing a research plan that would address some aspect of the overall theme life along the Kokosing carrying out the fieldwork, and making twenty-minute slide-illustrated presentations about their findings at the end of the course. The team dimension was again stressed. Members of the teams were instructed to share fieldwork chores evenly (interviewing, photography, and notetaking was to be rotated so that everyone gained experience in every technique), and teams were encouraged to work cooperatively with other teams whenever that made sense. The five teams each with a colorful self-selected name such as "The River Bottoms" and "The Cicadas" then proceeded to develop their individual sub-themes and research plans. 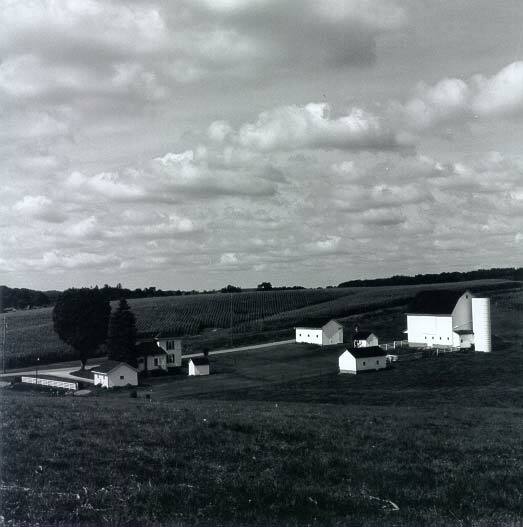 Five sub-themes emerged: the history of businesses in a small cross-roads village on the Kokosing, the lay of the land with an emphasis on ways of moving water for agricultural purposes, local foodways, recreational uses of the Kokosing reservoir, and cottage industries with an emphasis on woodworking shops operated by Amish families. At this point, the course instructors stepped back, assumed the role of advisors, and let the teams embark on the research each had selected. The teams' plans were refined and the team members moved ahead to identify informants and pertinent upcoming events, schedule and conduct interviews, and carry out other fieldwork activities. As their fieldwork unfolded, team members put in long hours in the field and, later on, at their computers, as they strived to keep up with the job of writing fieldnotes about the day's activities. At one point early in the fieldwork phase, several of the teams determined that an aerial perspective was required to obtain a comprehensive understanding of the local landscape. And so, in the best tradition of teamwork, they pooled their resources and hired a local pilot to take representatives of three teams aloft for an hour of aerial photography above the study area. The images they shot were later distributed among all five teams. During the brief fieldwork period only six days the teams worked diligently to gather information needed to inform the themes they had selected. Predictably, mistakes were made along the way (someone neglected to check whether a microphone was in the bag of recording equipment before the team left for an interview; the team member with the car forgot to show up to carry the others to a scheduled interview; and so on), but in this way lessons were learned and learned well. Many epiphanies occurred along the way, too, especially ones that resulted from the realization that one is learning how to enter a different cultural world. During the last few days of the course, the teams wrapped up their fieldwork; organized their tapes, slides, fieldnotes, photo logs, and other field data; and started planning their final presentations. On the penultimate day of the course, in the presence of some members of the local community, the director of the Ohio Humanities Council, a reporter from the Mount Vernon News, and the course instructors, the five teams presented their reports, which were complemented by the photographs, sound recordings, and artifacts they collected. Even though their time in the field was brief, the research and analysis the teams accomplished was impressive. For example, one team described the work process and equipment used by Amish furniture makers and its relationship to their beliefs. Another team described the various techniques farmers use to move water on and off their fields as well as the vernacular way of thinking about water management that guides their actions. The next day, after a session devoted to analyzing the whole field school experience, the teams turned over their documentary materials to Howard Sacks for deposit in the Rural Life Center's archive. Sacks and Taylor were delighted to see neat piles of items covering the top of a conference table 45 hours of taped interviews, over 1,300 slides, and some 500 pages of fieldnotes and tape and photo logs (on paper and also in computer files), plus signed release forms obtained from all the informants all properly numbered, organized, and otherwise ready for immediate deposit in the archive. Time will tell the extent to which participants in last summer's field school will apply the training they received. However, early indications seem very positive. For example, the Folklife Center has learned that two participants are using the training in connection with a major exhibition about workers' perspectives on manufacturing industries in Cleveland, another is using it to analyze historical papers from an ethnographic perspective, and another using it to better organize and preserve research materials gathered during previous research in her community. Back in Knox County, the impact of the field school is still being felt. Notably, the course has stimulated a number of new research projects at Kenyon College's Rural Life Center. Howard Sacks reports: "Students in my undergraduate fieldwork course are continuing to examine life along the Kokosing. Drawing on materials collected over the summer as well as their own research, the class is creating a cultural tour guide of the river that will include a booklet and audio recording. The summer fieldwork conducted on local food production has contributed to the creation of a guide to Knox County's food producers, part of an effort to build a local agricultural economy." "The initial work done in the field school has greatly aided our launching of these community projects," says Sacks. He also notes: "The surrounding community is receptive to our work as a result of the publicity associated with the school. The body of data collected by field school participants has helped us conceptualize our projects more quickly. And funding agencies are impressed by the groundwork accomplished in the school." What's next in the way of field schools? The Folklife Center has accepted an invitation from Indiana University's Folklore Institute and the Evergreen Institute, both in Bloomington, Indiana, to jointly sponsor a three-week-long field school in Bloomington this summer. Scheduled for June 11-July 1, it will follow the same model the Folklife Center used for last year's field school at Kenyon College. The focus of fieldwork during the Indiana field school will be the social and cultural history of Bloomington's town square. For more information about the course and how to apply to become a participant, contact the co-directors: Dr. Inta Carpenter, Director of Special Projects, Indiana University Folklore Institute, 504 North Fess, Bloomington, IN 47405; (812) 855-8049; carpente@indiana.edu; Dr. Philip B. Stafford, Evergreen Institute, 501 North Morton, Suite 210, Bloomington, IN 47404; (812) 856-5526; staffor@indiana.edu; or Dr. David A. Taylor, American Folklife Center, Library of Congress, Washington, D.C. 20540; (202) 707-1737; dtay@loc.gov.